Fist of all must start saying what means the name: JECA. Stories of Monteiro Lobato go beyond fun and entertain the children. With many of them, he brought up the problems of public health in Brazil. Jeca – Tatu is one of the characters that served as a tool to campaign for sanitation and informing and educating the public about a tropical disease that at the time, faced by millions of Brazilians and was so neglected. In 2000 I first used the character ” Jeca Brazil” as part of my social project being run by my local church on the streets of Rio de Janeiro. “Jeca” opened particularly difficult doors in the shantytowns or the poorest areas allaying others to then follow up with pratical help such as toys and clothes. Later “Jeca” began to appear in schools, at children’s parties and other special occasions. In 2002 I, as “Jeca”- co-presented the childrens television show called ” Good is to be a child”. 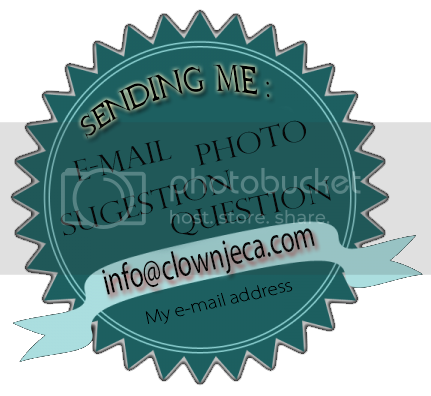 Sice the move to Ireland ” jeca” main activities have been in birthday parties , big events and doing marketing to companies; in 2009 Jeca the clown got a award from the Portlaoise parade committee as a the best entertainer 2009. Jeca is eternally in my heart and life. Clown Jeca at RDS Dublin.